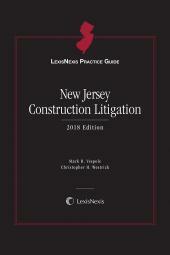 LexisNexis Practice Guide: New Jersey Construction Litigation is designed for busy practitioners who are in need of guidance in handling construction litigation cases in New Jersey. 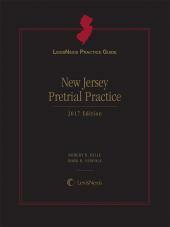 LexisNexis Practice Guide New Jersey Construction Litigation is designed for busy practitioners who are in need of guidance in handling construction litigation cases in New Jersey. 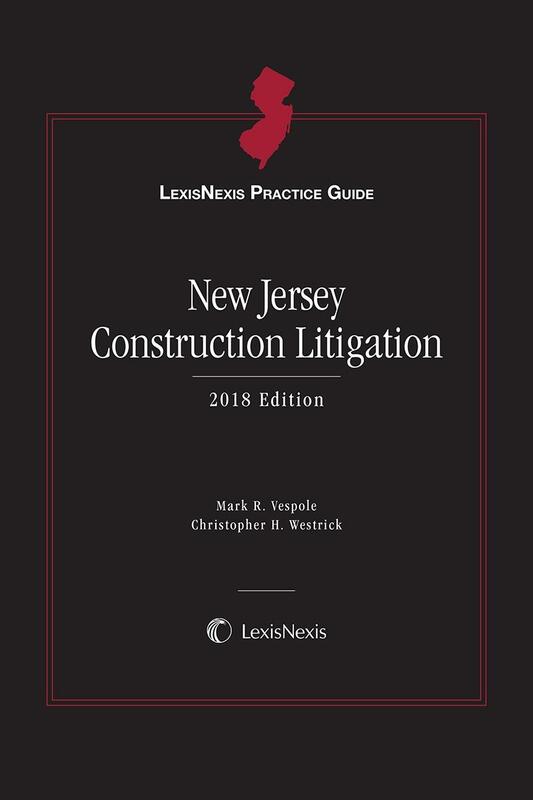 Reviewed and edited by Mark R. Vespole and Christopher H. Westrick, two highly experienced, New Jersey construction law attorneys, the guide focuses on key issues that arise on the plaintiff’s side, as well as those that are encountered by the defense. The guide also covers commonly litigated construction issues, such as construction and design contracts, affidavits of merit, timeliness of performance, insurance and indemnity, workers’ injuries, damages, and alternative dispute resolution. Practice tips and forms are also included. The guide provides a chapter-by-chapter analysis of major substantive and procedural issues that arise in construction litigation cases. This allows for a quick grasp of the major issues to be considered when determining whether to take on a construction law case. 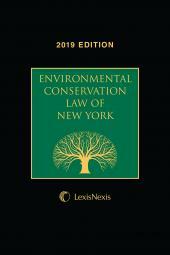 The guide also has a chapter that is devoted to construction law damages, which are often at the center of many construction disputes. Christopher H. Westrick is a partner with Carella, Byrne, Cecchi, Olstein, Brody & Agnello, P.C., located in Roseland, NJ. 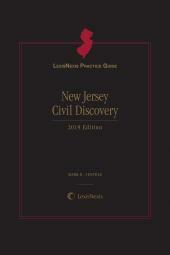 He is certified by the Supreme Court of New Jersey as a Civil Trial Attorney. He counsels and represents clients in employment, construction, and other types of complex commercial litigation. Mr. Westrick's construction experience includes over 15 years of defending developers, general contractors, subcontractors, construction managers and design professionals against claims for defects, delays, professional malpractice and subrogation. His complex litigation experience also includes business and contract disputes, product liability, personal injury, and insurance coverage matters. Mr. Westrick has successfully handled multiple jury trials to verdict in state and federal courts, and successfully argued appeals before state and federal appellate panels. Mr. Westrick is a graduate of Seton Hall University School of Law.